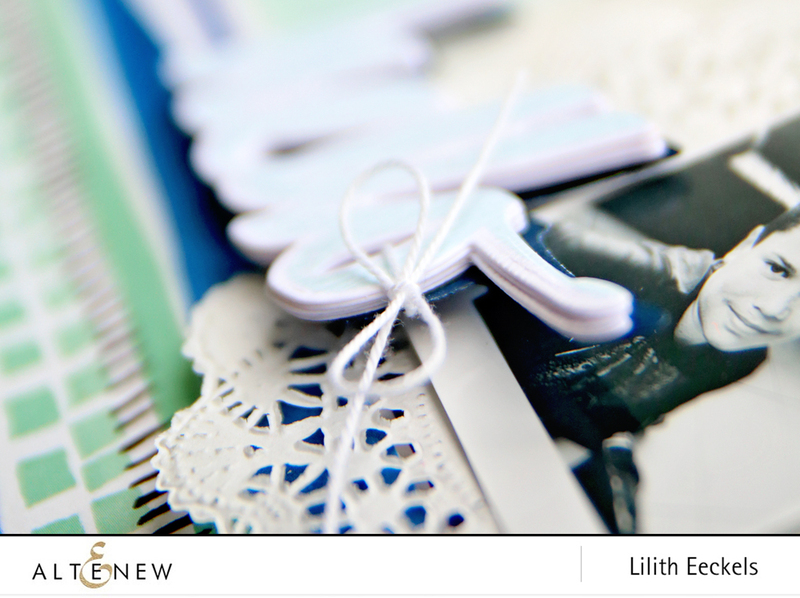 Hello Altenew friends, it’s Lilith. Today I am back with a brand new video on casing the Super Script Dies. I have been wanting to create a special title using one of the word dies for quite a while and this was the perfect occasion. To create the title I die cut the word hello 5 times in the woodgrain white cardstock from Altenew. One of the five die cuts has the stamped hello image from the Super Script stamp set. I also cut out a 6th shape but this time in the Navy Blue cardstock from Altenew. 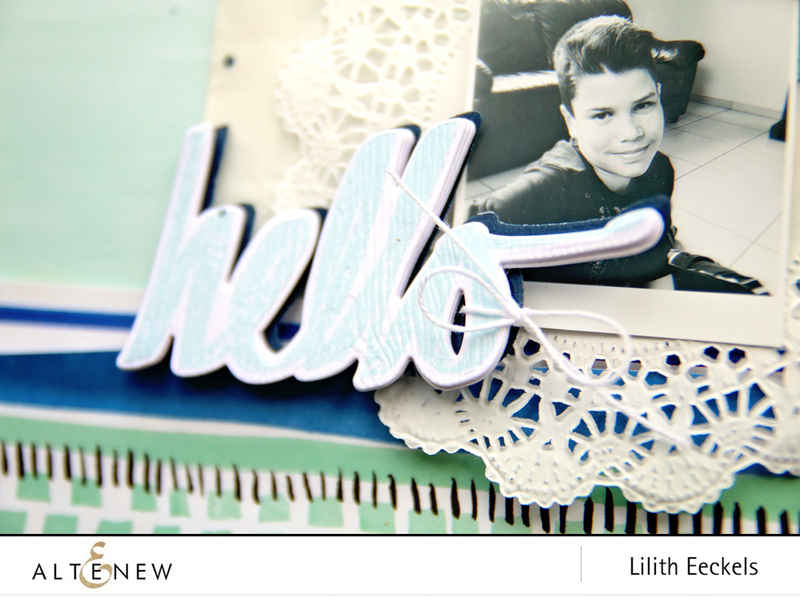 I then layered the cut outs putting the stamped hello on the top and the navy die cut piece on the bottom. I shifted the navy one slightly to the top and to the right to create a shadowed effect. You can see the whole creative process in the video below. Thank you for stopping by. Have a wonderful weekend and happy scrapping. Very very nice layout. I love when we can use die cuts for words and not just stamps. 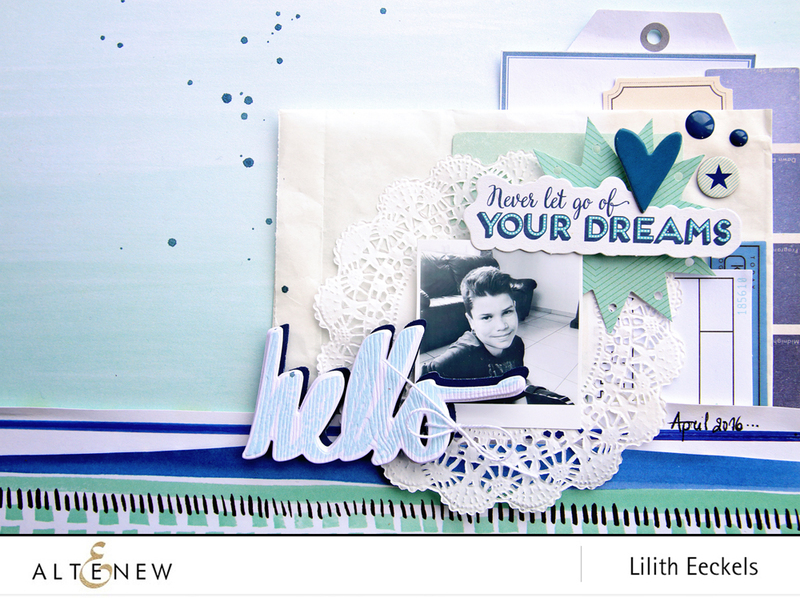 I love EVERYTHING about this layout – the cool title, the doily, the fun details and embellishments you used to finish it off!! Just so impressive – great work! !